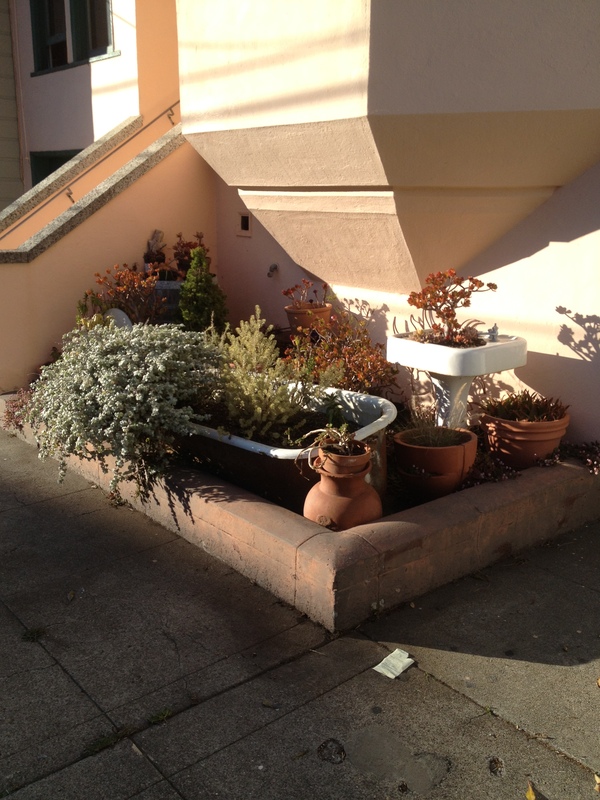 Re-purposing decommissioned porcelain from bathrooms for use as garden planters is undoubtedly not everyone’s style. Sometimes the attempts at funkiness and kitsch, once executed, can be a little too, well, trashy and haphazard. However, this aesthetic can serve many practical purposes. In a city where theft is a constant issue (sometimes even ceramic gnomes can’t protect a junkyard garden! 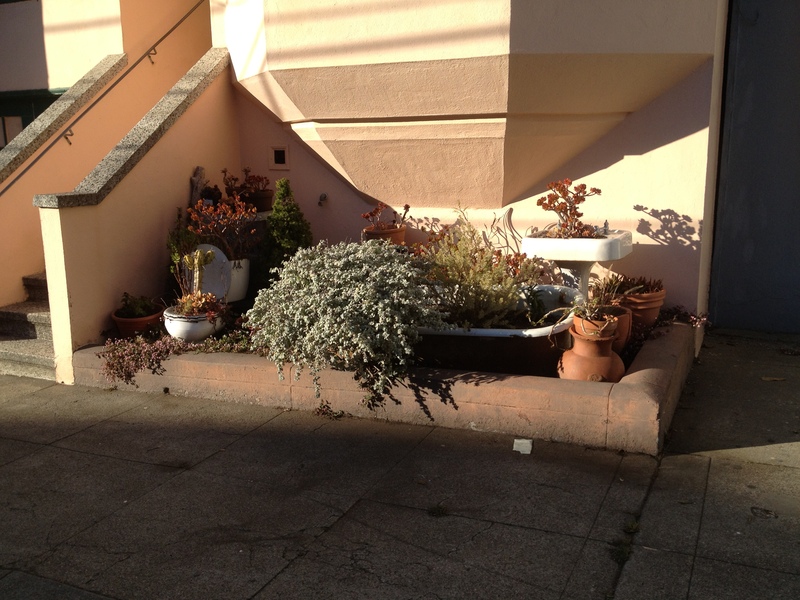 ), toilet- and bathtub-planters present a hefty challenge to potential potted plant thieves. And of course, diverting housing materials from a slow death in a landfill is always a huge bonus. 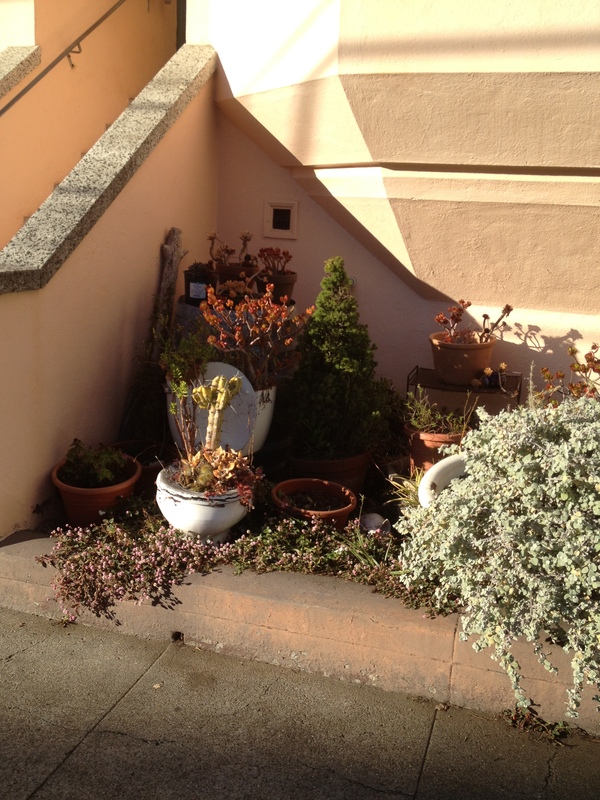 In terms of design, this Inner Richmond garden makes a small rectangle look thoughtfully put together, employing different heights and a complementary scheme of colors and textures to create a coordinated flow, almost like a still life painting. And if you plant a cactus in a old toilet, rest assured no passer-bys will attempt to use it!